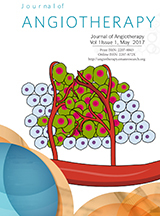 JoA publishes manuscript on Therapeutics for angiogenic/vascular diseases, cancer, arthritis, obesity, diabetes, Alzheimer's disease, cancer diagnostic methods, and natural medicine, extract, compounds or their derived synthetic molecules. Please click on http://angiotherapy.emanresearch.org for more information obout ER's Journal ANGIOTHERAPY and for latest articles and submission. MB aspires to publish comprehensive articles on microbe derived biologically active compounds to disseminate and convey relevant scientific knowledge and impactful discoveries to the scientists, academics,	clinicians and industries. 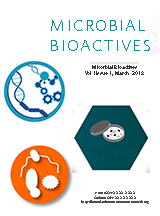 Please click on http://micorbialbioactives.emanresearch.org for more information obout ER's Journal Microbial Bioactives and for latest articles and submission. 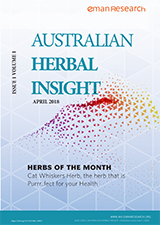 AHI publishes comprehensive articles on Australian herbs and medicnal plant to disseminate and convey relevant scientific and medicinal knowledge and impactful discoveries to the scientists, academics,	clinicians and industries. Please click on http://ahi.emanresearch.org/ for more information obout ER's Journal Microbial Bioactives and for latest articles and submission. 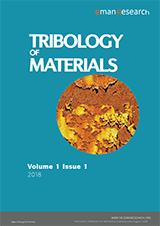 Tribology of Materials publishes new and significant information on the Tribology application at all scales of experimental and theoretical research papers in fields of the science of friction, wear and lubrication and any closely related fields. Please click on http://tm.emanresearch.org/ for more information obout ER's Journal Microbial Bioactives and for latest articles and submission.